The IRS introduced a number of changes to 2012 form 1099-DIV (Dividends and Distributions). In this page you will find the list of changes and information on how to download, print and e-File 2012 1099-DIV forms. Box 12- State, Box – State identification no and Box 14 – State tax withheld. Exempt-interest dividends: Exempt-interest dividends from a mutual fund or other regulated investment company (RIC) are now reported on Form 1099-DIV. They will no longer be reported on Form 1099-INT, Interest Income. 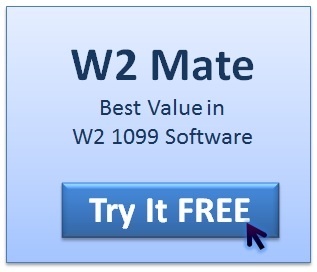 Please refer to our 1099-DIV software page to download and install a free demo of our 2012 1099-DIV software. Using the software is straightforward, and you should be able to print your first 1099-DIV in minutes. The IRS has also introduced new changes to the 1099-DIV e-File for 2012. These new changes are also included in our latest 1099 DIV electronic filing module. Please call 800-507-1992 to order 1099-DIV forms and software or visit our buy page.